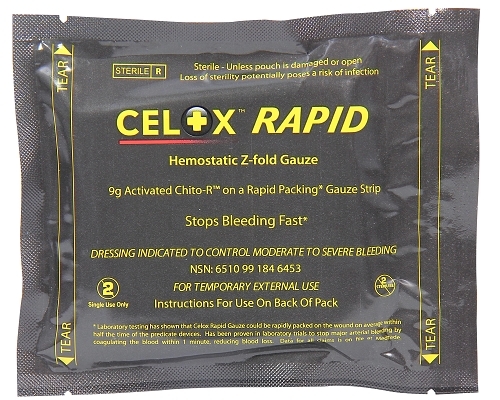 Celox rapid Z fold gauze package stops life threatening bleeding effectively. 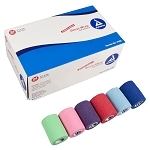 Celox granules laminated on a dense gauze which can be easily packed into bleeding wounds. 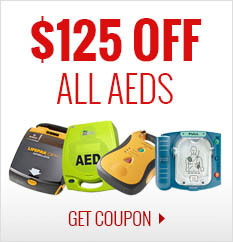 Results in least overall blood loss in comparative studies. Dimensions: 5" x 4" x 0.5"